It is with great sadness that we mourn the passing of our great friend and colleague Philip Weller. His immense warmth, generosity, and intellect will be sorely missed by all of us. Rest in peace, dear friend. The Agnus Dei from the anonymous English Fuit homo missus Mass, for the Nativity of St John the Baptist, celebrated on June 24th. St John’s Nativity was celebrated six months before Christmas to emphasise his role as the precursor to Christ. 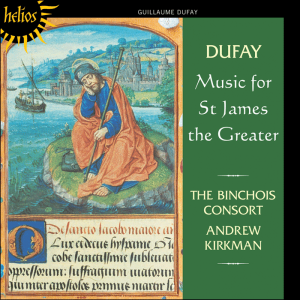 This fine polyphonic setting takes chant setting the words ‘Fuit homo missus a Deo, cui nomen Joannes erat’ – there was a man sent from God whose name was John. The chant is sung in the Tenor which provides a structural scaffold for the whole Mass, which follows a macro-structure linking the Kyrie-Gloria-Credo and Sanctus-Agnus as structurally paired movements. 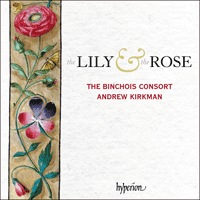 This performance is from a concert at the Djanogly theatre in Nottingham by the Binchois Consort under Andrew Kirkman. The paired images show, amongst other things, examples of the ‘Caput in Disco’ – the head of John the Baptist on a plate. William Cornysh’s motet Ave Maria mater Dei. 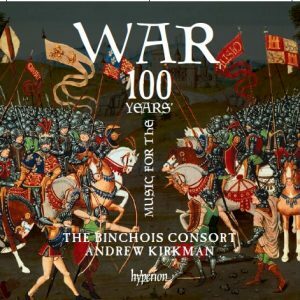 Performed at St Mary’s Guildhall, Coventry by The Binchois Consort under Andrew Kirkman. Performing edition by Philip Weller. 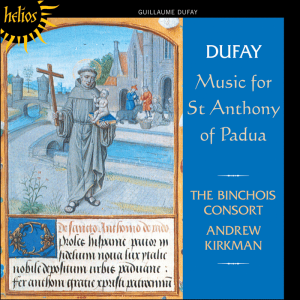 The Kyrie of the iconic anonymous English Caput Mass (once thought to be by Du Fay), featuring the trope text Deus creator, one of the great (and most influential) English pieces of the first half of the fifteenth century. Performed at St Mary’s Guildhall, Coventry by The Binchois Consort under Andrew Kirkman. Performing edition by Philip Weller based on editions by Gareth Curtis and Reinhard Strohm. Dunstaple’s brilliant isorhythmic motet Preco preheminencie/Precursor premittitur/Inter natos mulierum, written in honour of St John the Baptist and apparently performed to honour John, Duke of Bedford in 1416. The motet is preceded by the plainchant Inter natos mulierum (a well known antiphon for St John) which is used in the Tenor of the larger polyphonic work. Performed at St Mary’s Guildhall, Coventry by The Binchois Consort under Andrew Kirkman. Performing edition by Philip Weller. The Sanctus of Walter Frye’s beautiful ‘Nobilis et pulchra’ mass, written in honour of St Katherine of Alexandria. (St Katherine was one of the dedicatory patron saints of the famous Coventry religious guilds.) Performed at St Mary’s Guildhall, Coventry by The Binchois Consort under Andrew Kirkman. Performing edition by Philip Weller. John Plummer’s motet ‘Anna mater matris Christi’, for four voices. A beautiful, lyrical motet in honour of St Anne, mother of the Virgin Mary. 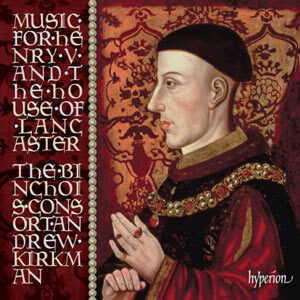 Performed at St Mary’s Guildhall, Coventry by The Binchois Consort under Andrew Kirkman. Performance edition by Philip Weller. The Gloria of the anonymous Thomas cesus mass from an Italian manuscript (San Pietro B80). This is a mass for the feast of St Thomas Becket which takes a section of the plainchant ‘Mundi florem’, the seventh responsory for Matins for that feast in the Sarum Rite, as its cantus firmus. In this performance, the chant is performed in its entirety before the mass movement. Performed at St Mary’s Guildhall, Coventry by The Binchois Consort under Andrew Kirkman. Edition by James Cook.